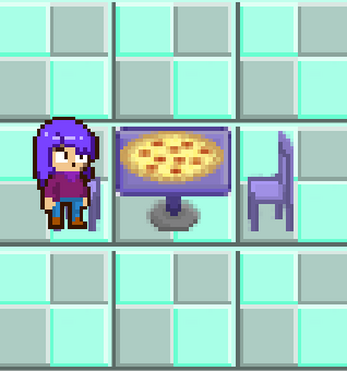 A game about making pizzas! That's all you have to know. Press SPACE to commit an action. I love time management games! Even though there was no timer or constant flow of customers, I still played the game as if there was one. I didn’t even notice the oven timer. I put together a pizza, put it in the oven, started another order and took the first pizza out to serve while the other one cooked. LOL 😄. I would say a nice song would’ve added a nice touch to bring it in. It also took me a while to realize the dough and oven was needed. Great game!